For KKR to win, their batting has to come out of their reliance on top-order as they have showed signs of choking in last few losses. 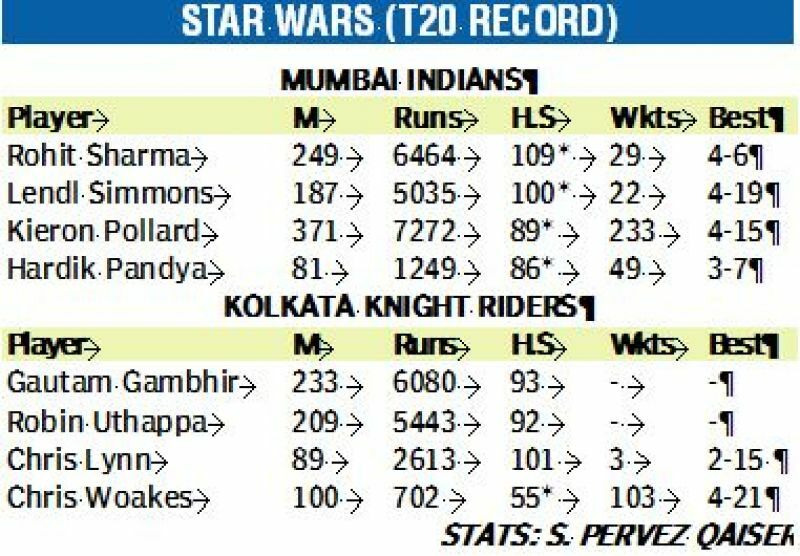 Kolkata: Kolkata Knight Riders find nemesis Mumbai Indians in their way for a top-two finish as the two heavyweights clash in the final round of the Indian Premier League at Eden Gardens, on Saturday. After a flying start to their respective campaigns, both the teams have started showing some wear and tear. 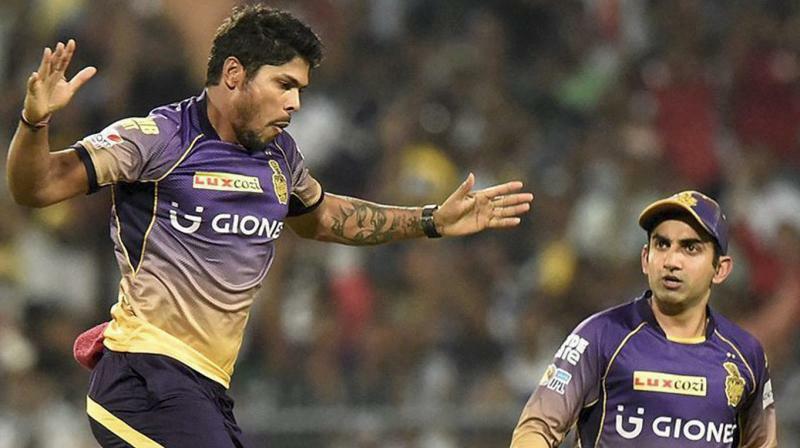 Mumbai have suffered successive defeats while KKR have lost three of their last four matches. Having become the first team to make the cut, the outcome of the match won’t affect Mumbai but Kolkata need to win to take their tally to 18, same as their opponents and remain in contention for a second-place finish. A top-two finish will be up for grabs for both Mumbai (18 points) or Kolkata (16) as it will give them the privilege of getting two shots at making the final. Taking into account of their first-leg result, Kolkata have their lost four matches in a row against Mumbai in a lopsided 5-14 overall record. Their winning percentage of 26.31 against Mumbai is also the least among teams with a minimum of five matches. Kolkata have the best net run-rate (+0.729) among the still-to-be-qualified teams and have virtually made the cut but still they would not like to keep it till the end for the ifs-and-buts equations to determine the final four teams. Sunil Narine’s new-found opening slot may have been the biggest advantage for KKR but at the same time, it is often seen that the team’s batting relies on the top four. In search of a win to seal a playoff berth, KKR made a mess of a modest 168-run chase as barring opener Chris Lynn (84) none of their batsmen could contribute down the order. The biggest letdown for KKR has been Yusuf Pathan’s sorry state of form with the bat as the side is badly missing a finisher. The three-time IPL winner Yusuf has scored 37 runs in last eight matches and looked out of sorts but KKR has showed unwavering faith in the 34-year-old once-explosive batsman.